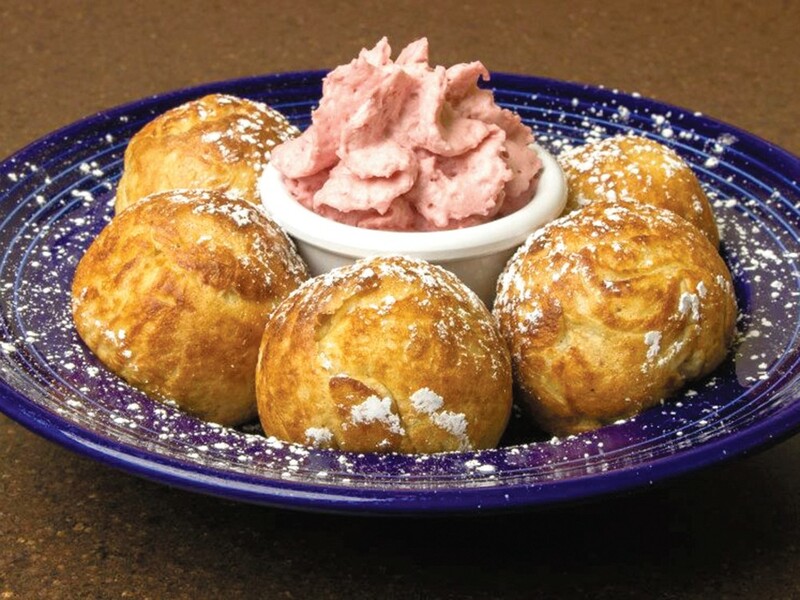 The Danish aebelskivers have quickly become a hot item on the Little Euro menu. Open only since June, the Little Euro has brought good breakfast to the Valley and quickly established itself as the successful branch-off of the north-side Old European. The vivid orange-and-lime green building has a different style from the other location. It’s a smaller café, with the addition of a drive-thru window and patio for warmer weather. Owner Tami Sevier says that the patio was so well received that they will be adding one to the Old European this summer. Being under the same ownership as the Old European, they offer the same menu and therefore the same great tastes. The Scandinavian Cake Plate ($10) allows you to sample Swedish crepes, German potato pancakes, aebelskivers or buttermilk hotcakes. They also have eight variations of goulash, also known as potatoes scrabbles, which are popular among regulars. Another thing that sets Little Euro apart is that its side dishes include more than just hash browns, offering 11 items ranging from their potato pancakes to French toast.